OnTrack Operations: Have You Used Your Savings Coupons From Your 2016 Renewal? Have You Used Your Savings Coupons From Your 2016 Renewal? Time is running out to use your vendor coupons from your 2016 dues renewal or new membership. 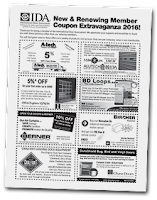 One of the many coupon offers is from IDA is for 10 percent off Service Decals. What a great time to check out and stock up on member-only service decals in either standard two-color or premium three-color. Click here to download an order form or check out the latest issue of ID&OI magazine. Use your 2016 coupon now and as you renew your dues for 2017 you will be sent a new set of coupons that are good until December 31, 2017. 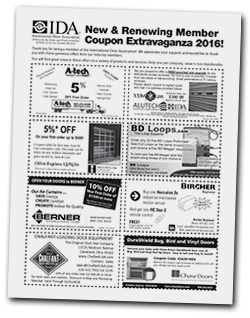 Check out all the deals the coupons have to offer – you can save hundreds of dollars on products and services you may already be purchasing!